What has Oil 4 Wales got to do with MEDSERVE? Oil 4 Wales has been involved with MEDSERVE Wales for quite some time now, and are proud to support the organisation in the work they do. But we have come to realise that not everybody knows about the life-saving work MEDSERVE do. So we sat down and had a cuppa with Dr Matt Creed, BASICS Doctor and Treasurer of MEDSERVE Wales, to talk a little more about how this organisation started, what it does, and how people can help. “MEDSERVE clinicians respond to medical and trauma emergencies in South Wales. Our clinicians are on call, as available, 24 hours a day, 365 days a year and are the only enhanced care service available overnight that the Welsh Ambulance Service NHS Trust (WAST) is able to call upon on a routine basis. Our aim is save life, reduce disability and assist in the efficiency of all the statutory and voluntary emergency services. MEDSERVE provides seriously ill or injured patients with timely, high quality and life saving enhanced care. In practice, we can deliver several interventions not available from the statutory Ambulance Service response by attending scene on blue lights at the request of WAST. These interventions are termed “enhanced care” and includes advanced pain relief with drugs and nerve block injections, providing experienced and senior clinical decision making on scene, mechanical CPR and ventilation, advanced resuscitation techniques, surgical procedures and anaesthesia. Our members are all experienced medical practitioners, from a variety of backgrounds. We have a number of Paramedics, Nurses and Advanced Practitioners who work with us as well as doctors from Specialities such as Emergency Medicine, Anaesthesia, Intensive Care, Cardiology and General Practice. All of our solo responders have significant experience, training and additional qualifications related to working in the pre-hospital environment, as well as training in response driving, major incident management and advanced clinical skills. 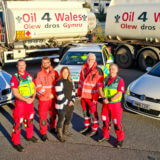 Oil 4 Wales became aware of the work of MEDSERVE through emergency service colleagues who were involved in responding to a complex and serious incident in South Wales with MEDSERVE clinicians. 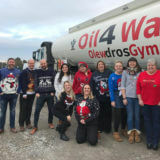 Hearing about the service we provide – which is mostly unknown to the wider public – Oil 4 Wales generously made contact with an offer to support MEDSERVE and have been fuelling DR01 since then! Oil4Wales generously supplies MEDSERVE Wales with a donation of fuel, which is used to keep our marked response car, callsign “Delta Romeo 01” (DR01) on the road. DR01 is used for both solo response by our members and also to deliver an Enhanced Care Team from MEDSERVE to incidents where our skills are required. Providing a team enables us to safely deliver a wider range of enhanced care skills, and helps facilitate the training and development of our newer members. 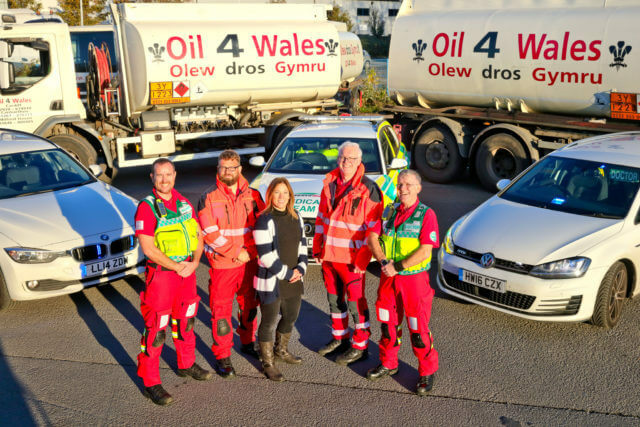 Without support to cover the fuel for this vehicle, we would not be in a position to offer as many hours of our time to WAST to provide enhanced care in DR01, and the support from Oil 4 Wales not only keeps us on the road, but is helping to save lives in South Wales. How can others help support MEDSERVE Wales? MEDSERVE Wales would be delighted to hear from business and individuals who would like to support our life saving work. The cost of training and equipping a new MEDSERVE responder can be as much as £50,000 and our Enhanced Care equipment requires both maintenance and replacement. We fundraise to cover the costs of our advanced medications and equipment, and any assistance with this is welcome. Our team would be happy to arrange to meet and discuss our work further with. 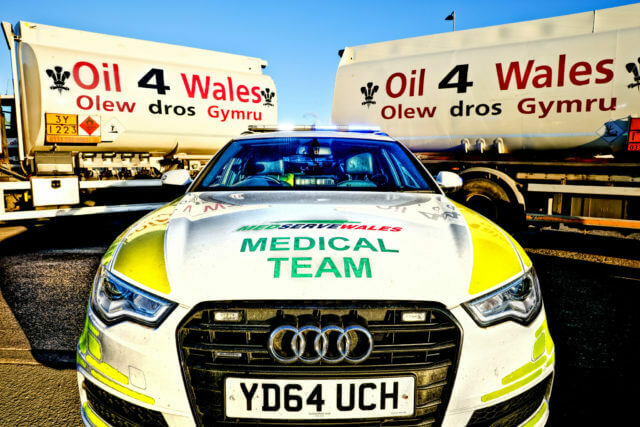 “MEDSERVE Wales was formed in 1994 by a group of General Practitioners to fulfil the unmet need of providing enhanced medical care to injured and ill persons at the scene of an incident. At this time in South Wales there was no other provision of enhanced care available beyond the statutory ambulance response.